Yesterday we talk about How to unlock the bootloader of Oneplus X and today we discuss How to root and install custom recovery on oneplus x. 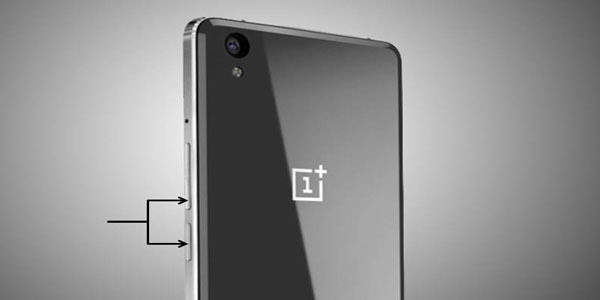 As we all know Oneplus X is one of the best affordable midrange phone of the year. The design is one of the best things of the phone, a compact 5-inch AMOLED display and glass back looks awesome. But you need an invite to buy this phone but it is also available invite free every Tuesday. You can also customize your phone in various ways like installing custom ROMs and kernels but for that, you have to root your device. The best part of this phone is that the warranty will not void even after rooting. Now if you own Oneplus X and already unlock your bootloader then you can proceed to root and install custom recovery on oneplus x. Actually, the procedure of root your device is very simple all you need is to follow this guide carefully. 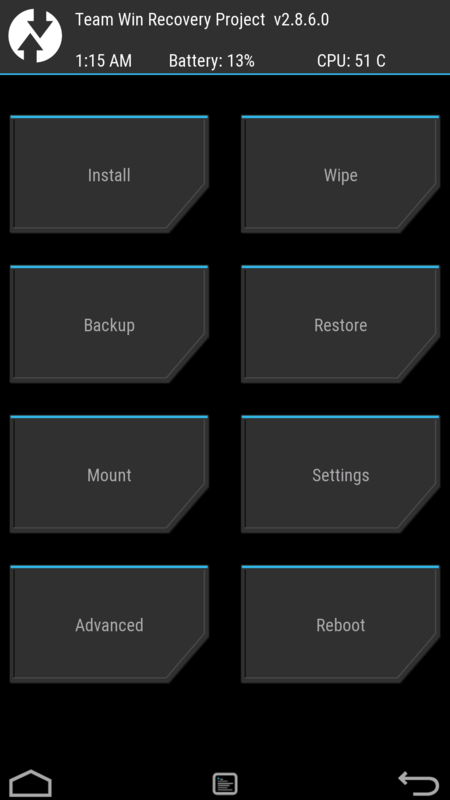 After gaining root access, you can install custom ROM,s, custom recoveries and many more things. You can tweak your phone like the way you want. So first we have to discuss how to install TWRP recovery then how to root your Oneplus X but before that you have to download some files. Download:- adb and fastboot driver by xda member @Snoop05. This will also install your device driver. 3) Install the adb and fastboot driver on your PC and then restart if you already have the driver installed then skip this step. 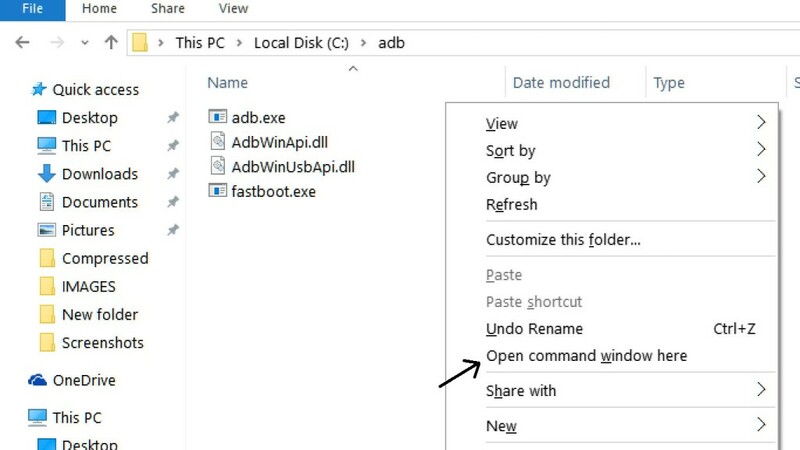 4) After installation of the driver, go to installation directory open adb folder and open the command window there by pressing and hold the ‘shift’ key and right-clicked anywhere in that folder. 5) Now connect your phone to PC and enter into the fastboot mode by pressing a combination of ‘Power + Volume Up’. Now type ‘fastboot devices’ if it gives you some serial numbers in return means your phone connect properly. 6) Copy the recovery file you downloaded from above in the folder where adb installed and rename it to ‘recovery.img’. 7) Type this command properly in command prompt without quotes ‘fastboot flash recovery recover.img’ and then press enter. It starts flashing recovery in your phone. 9) Custom recovery is now installed now it’s time to flash SuperSu. 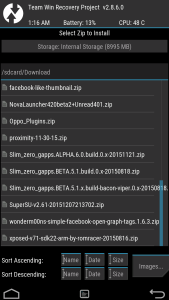 1) Download SuperSu from above and copy it into your phone. 2) enter into the recovery mode by pressing a combination of ‘Power + Volume down’. 3) You are in recovery mode now. ‘Click install’ in TWRP recovery and search the location where you saved SuperSu and select it and swipe the slider to confirm it. 4) SuperSu is now flashed at last, clean cache/dalvik and reboot the device. 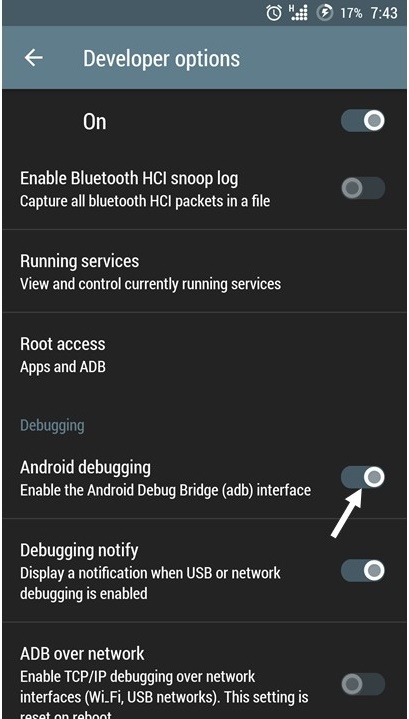 If you doing the above steps properly means you root and install custom recovery on oneplus x successfully. If you have any question comment below. If i root my phone or install custom recovery, my data will lost? No, but when you unlock your bootloader then maybe you lost your data.